How Does WinterPromise Teach History & Culture? This wonderful resource has been created just for you. This resource is beautifully designed and act as timeline pages. They could work on their own as a special unit study and timeline resource or in combination with our Timeline Notebooks. They are best used though when combined with our “Timelines in History.” (https://winterpromise.com/product/timelines-history/) These Civil War Pages can be inserted into your Timeline. They are uniquely designed so that they appear differently, are unique and yet work together with your Timeline. These pages slow down and give you a whole page for some of the major conflicts and battles of the Civil War! Your students can add pictures, drawings, clippings, and anything else you can fit in! “The Civil War Years Timeline Pages” will add a lot of depth and personal touch to your Civil War History Study. Click on the Link below to find it. Enjoy! This Bible has some great illustrations and is a great way to get your kids learning about the history and the stories of the Bible! Here is a link the product and other items from that publisher! Make sure you check them out! 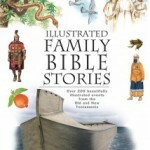 Enter this giveaway for a chance to receive this great resource for your family!